If you've ever had to deal with a pesky mouse in your living space, you know what a nuisance it can be to try and get rid of it. 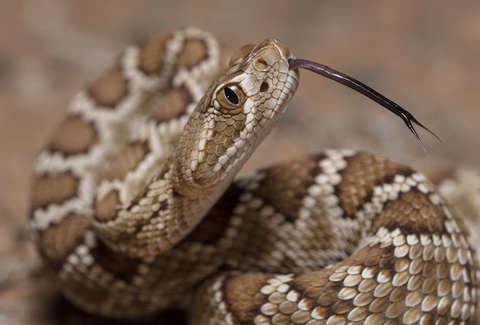 Though you should rest easy knowing a little mouse is nothing compared to the horror show one homeowner in Texas recently encountered after they learned there were 45 venomous rattlesnakes camped out under their house. While attempting to fix a cable line under his house last week, a man in Abilene, Texas came upon what he thought were "a few" snakes in his crawl space. It being rattler country, the discovery wasn't all that unusual, but as any snake-fearing person with common sense would do, he called up a local snake catcher. Once the snake catcher, Nate Hawkins, arrived, he went underneath to investigate, which is when he realized there were many more than just a few slithering specimens hanging around. In fact, Hawkins found closer to 45 hiding out under there, or approximately 45 more rattlesnakes than any homeowner would care to be secretly living with. You don't have to take Hawkins' word for what it was like to get rid of them, either, because he documented a good deal of the retrieval operation on camera. In the 18-minute clip posted to the Big Country Snake Removal Facebook page, you not only see the tiny army of reptiles -- which were reportedly western diamondbacks -- hiding out in the dark, but can hear quite a few of them loudly rattling. They weren't all little guys, either, considering Hawkins told USA Today that the largest of the bunch measured well over five feet. Still, the mass-removal was hardly the biggest job Hawkins has ever had, as he once removed a truly staggering 90 snakes from another client's home, according to the Washington Post. Eventually, Hawkins managed to trap them all using a variety of poles and tools and later "relocated" them away from the property. In the caption of his Facebook video, Hawkins made clear that no matter how well-tended a property may be, snakes in search of shelter will show up anywhere. "The interesting thing here was they only see a few each year, their yard was very well kept and their house was nice and clean [...] My point is, we run into this scenario often, and people don’t think it can happen to them. As I stated in the teaser video, rattlesnakes don’t care how nice your house is or what kind car you drive- they care simply about survival." And sure, venomous snakes hiding out under your house isn't ideal, but at least it's not as creepy as finding thousands of human teeth inside your wall.